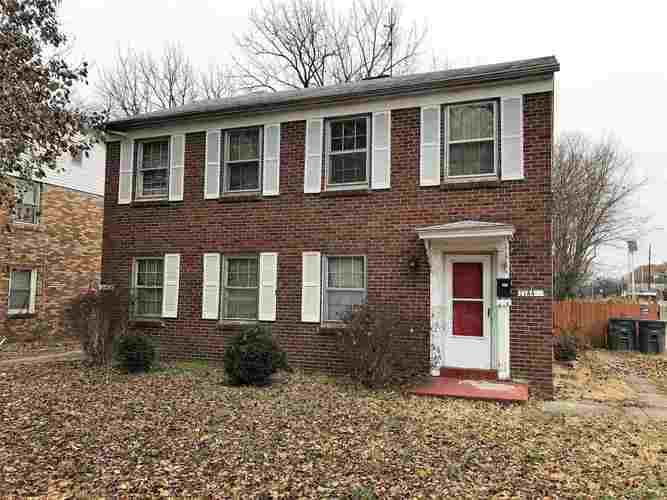 Brick duplex on a deed end street with a privacy fenced back yard and detached 2 car garage. New bike path runs right next to the property. both units are leased for $400.00 per month. there is room to raise the rents for better income. The utilities are separated. Seller is retired and ready to sell. Directions:Take Lloyd Exp East, merge onto US 41 S, turn right onto Bellemeade Ave., turn left onto S. Kerth Ave., turn left on to Bayard Park Dr., duplex is at the end of the street on the left. Listing provided courtesy of HELFRICH REALTY CO.